In some legal cases, one or both parties may be struggling with a mental health challenge that makes family dynamics difficult. In contentious cases, the courts may recommend or order therapy. One type of therapy that has been shown to be effective with curbing anger and recovering from PTSD or addiction is Dialectical Behavioral Therapy or DBT. The law office of Kathryn Wayne-Spindler & Associates can help clients involved in contentious cases. Contact the Milford, Michigan law office at 248-676-1000. Here’s some more information about DBT. 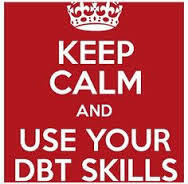 A: According to the Linehan Institute, DBT was developed by Marsha Linehan in the late 1970s. She adapted the tenets of Cognitive Behavioral Therapy (CBT) to treat chronically suicidal patients suffering from BPD. BPD is defined on Totallifecounseling.com as, “a mental disorder characterized by difficulty with interpersonal relationships, drama, conflict, impulsive and reckless behavior”. “Research has shown DBT to be effective in reducing suicidal behavior, psychiatric hospitalization, treatment dropout, substance abuse, anger, and interpersonal difficulties,” according to the Linehan website, Behavioraltech.org. Although individual DBT sessions are available, the most common forms of mandated DBT tend to fall into three categories: Parenting Skills Classes, Anger Management sessions and Group Skill Building. Q: What is Dialectical Behavioral Therapy Group Skill Building? A: Dr. Beth Anne Rutkowski, a psychologist out of Farmington Hills, MI writes, “This group will focus on the Dialectical Behavioral Therapy Skill building, which will include four modules. The first module, Core Mindfulness, includes learning how to: become aware in order to act wisely, think non-judgmentally, and let go of labels such as fair vs. unfair, right vs. wrong, etc. The Distress Tolerance module focuses on tolerating and accepting crises, improving the moment, and soothing the senses. The next module, Interpersonal Effectiveness Skills, includes assertiveness training, lessons in maintaining and improving relationships, and increasing self-respect. Finally, Emotion Regulation addresses reducing emotional vulnerability, enhancing positive emotions and decreasing aversive emotions. Q: Why was it prescribed for me? A: DBT or Dialectical Behavior Therapy has steadily become commonly court-mandated in recent years as a treatment for substance abuse, anger management, depression and interpersonal difficulties. All of these issues can contribute to divorce and custody issues as well as DUI charges. Q: What should I expect from a treatment session? A: Although individual sessions are available, many Skill Building and Parenting Skills classes are with similar clients in a group session. DBT utilizes an “acceptance-based interventions” model. This means you will have the chance to vocalize your worries/concerns/anger/problems with a trained therapist. He/she will listen and offer validations. The aim is to encourage patients to allow themselves to verbalize and accept their problems, recognizing that what they are feeling is “normal.” Then, once they’ve done that, encouraging them to see the problem from a different perspective and try different, more socially acceptable, reactions. A: Every circumstance is different. Many individual sessions run about 45 minutes once a week. There are some eight-hour anger management sessions that can be completed in one weekend. Other counselors offer 90-minute Parenting Skills Group sessions every other week. The Skills Classes tend to run 90 mins./week for up to a year. A: Individual sessions cost between $70-140/hour. Many group sessions listed range between $50-70/session. A: Many therapists accept insurance. Before calling therapists it is your responsibility to investigate with your insurance company what is covered. A: Psychology Today has a comprehensive list of local therapists. Go to www.psychologytoday.com. Search by state, Michigan. Then you can refine your search by specifying: County, City, Issues, Sexuality, Age, Alternative Languages, Religious Affiliation, Gender Issues, Treatment Orientation (this is where you would locate Dialectical- DBT) and Insurances Accepted.